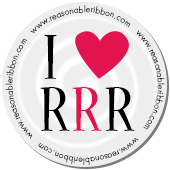 Really Reasonable Ribbon Blog: Happy Birthday! On my card I chose to use some random design papers I came across in my stash after cleaning up my room this past week. It's funny how you find things you haven't seen in a while...hehehehe. I then used Cheery Lynn Dies for my flowers and branches, and in the centers I used RRR Pearls, Love how perfect these are for my flowers. I do love how this one turned out, and the colors look so pretty! LOVE working with the satin ribbon as it makes for easy pretty bows! The bows I made were done using the Really Reasonable Ribbons April Ribbon Club assortment which is still available in the Special Deal through the end of May.